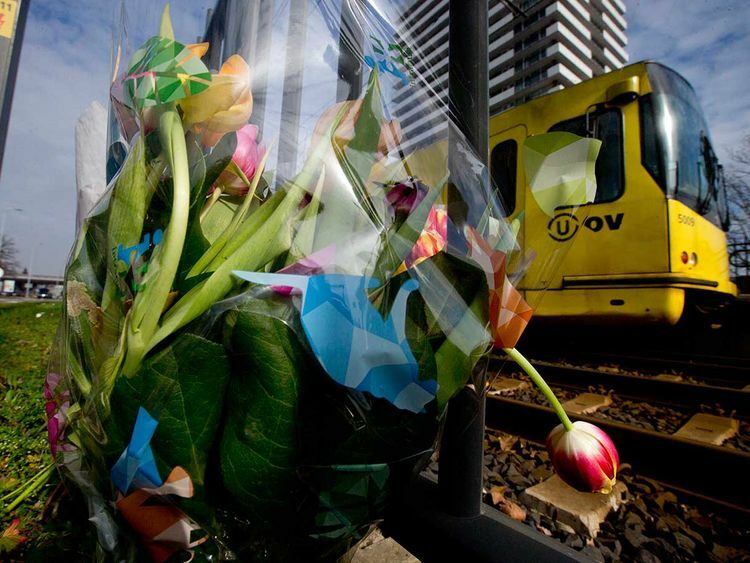 UTRECHT, Netherlands: Dutch prosecutors said Tuesday they are taking very seriously the possibility that the deadly shooting on a tram in the central city of Utrecht was an act of terror. Prosecutors confirmed that three people died: a 19-year-old woman from the neighbouring town of Vianen, and two men aged 28 and 49 from Utrecht. Tanis, a 37-year-old man of Turkish descent, was being held on suspicion of “manslaughter with terrorist intent”, though authorities have not ruled out other possible motives. He was arrested Monday evening after an hours-long manhunt that nearly paralysed the Netherlands’ fourth-largest city and sent shock waves through this nation. Officials said Tanis has had a long criminal record in the Netherlands involving a variety of offences — none terror-related — but gave no details. While the investigation appeared to be increasingly focused on a terrorist motive, authorities have not ruled out other possibilities. Dutch and Turkish media citing his neighbours in Utrecht have speculated that the shooting may have been linked to a relationship, but that appears increasingly unlikely after prosecutors said none of the victims were known to the main suspect.